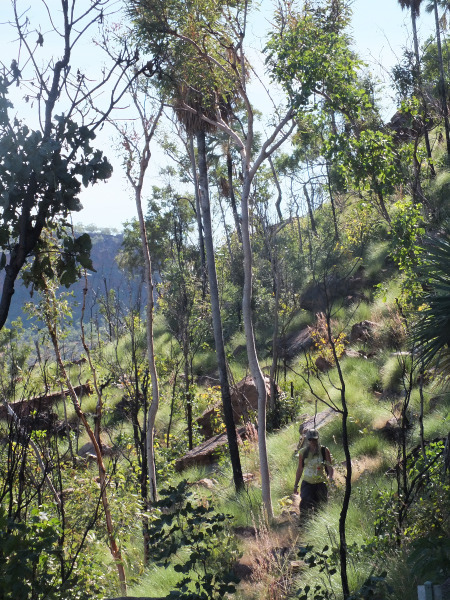 This loop is short but filled with breathtaking views of the escarpment and the valley, and is a unique occasion to see aboriginal paintings and enjoy the shade of the palm trees. Trailhead is at Joe Creek Picnic Area 15 36 21 S 131 4 46 E on the Victoria Hwy, some 10 kilometers from Victoria River roadhouse. Access is by car (or bicycle) only, along the Victoria Hwy. No public transport. Facilities: drop toilets and picnic tables at Joe Creek Picnic Area. Nearest town is probably Timber Creek, 80 k’s from there. Warnings: saltwater crocodiles might be present in the waterways of the park, observe warning signs and do not swim. 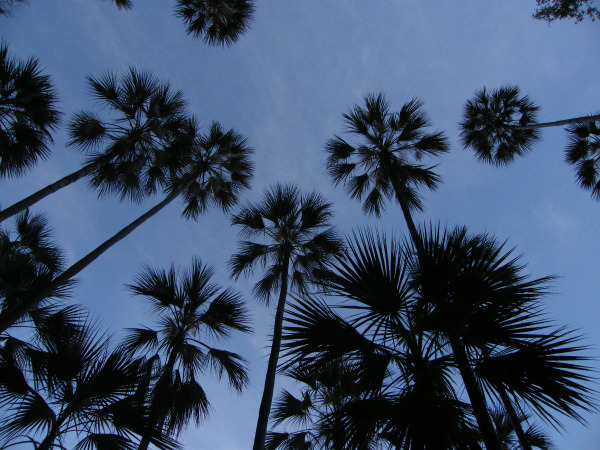 From the Joe Creek Picnic Area follow the signs to the walk, then enjoy the shade of the escarpment and the view of the tall palm trees. 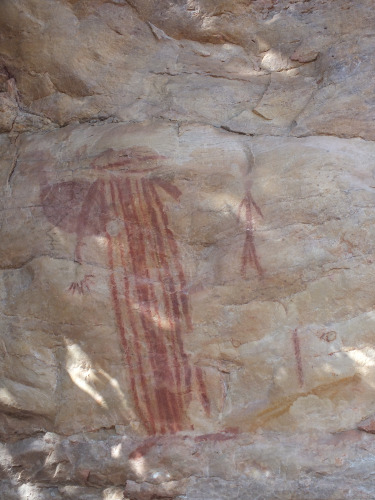 Later on, look carefully at the rock wall and you will see dozens of aboriginal paintings. Then just follow the track to close the loop and come back to the carpark.